Our first full day with this enthusiastic and excited pilgrimage group. We have a sold out trip with only one bus since we want to give people the intimate and personal pilgrimage with the finest hotels, restaurants, services and teaching. And Mass — wow, today we had Mass with Fr. Scott Courtney on the top of the mountain where Jesus spoke with Moses and Elijah. Enjoy today’s video as you join up virtually on our pilgrimage through the Holy Land. COMMENTARY: One doesn’t have to look far to see that the term ‘war on women’ doesn’t apply. In fact, it’s quite the opposite! Anyone who claims that the Catholic Church is anti-woman knows little about her rich history and Tradition in proclaiming the beauty and greatness of womanhood. There is no more pro-woman institution than the Catholic Church. And here are five reasons why. First, the salvation of all humanity hinged on a singular woman’s “Yes,” her fiat, to becoming the mother of Jesus. God could have chosen to bring about the salvific act of Christ in so many ways, but he chose to do so in and through a woman. The Catholic Church honors and celebrates Mary’s wholly singular role (Catechism 968) with special devotion. Catholics do not worship Mary, but they do honor her — and rightfully so. However, Mary’s unique role in the Church is “inseparable from her union with Christ and flows directly from it” (964). Since we are the body of Christ, and Mary is Christ’s mother, she is also our mother and the Mother of the Church (963). Second, holy Scripture is brimming with the stories of at least 137 women, many of them brave matriarchs, heroines and saints. For example, in the Old Testament, we have the most attractive woman of the kingdom of Persia, Queen Esther, who saved her husband, King Ahasuerus, from being murdered, saved the Jewish people from a massacre at Haman’s hands and spared the life of her uncle Mordecai. Then there’s Rachel, the mother of Joseph and Benjamin, the sons who fathered the 12 tribes of Israel. 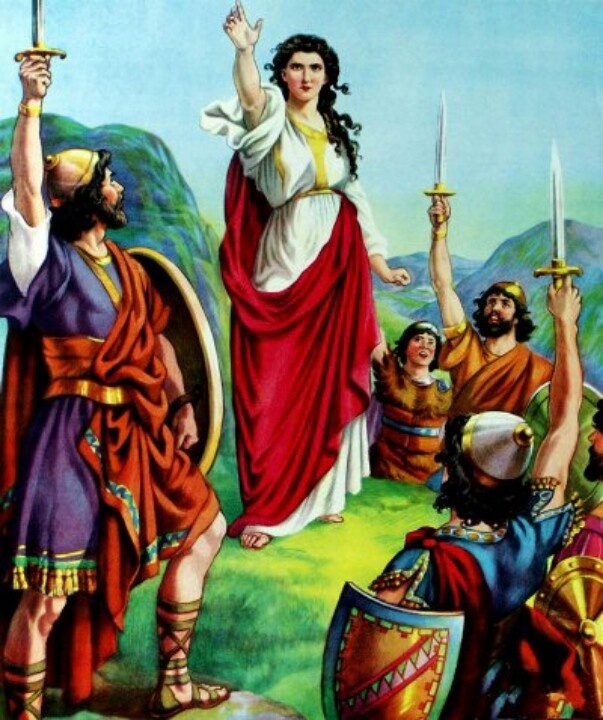 Then there’s Judith, a daring and beautiful widow, who saved the Israelites from surrendering to the Assyrians by sneaking in the enemy camp and decapitating the general, Holofernes.